Worried about Ebola? I’m not judging you for that, and I’m happy to explain why I’m not judging you. But before going into detail on that, let me say that not judging you for your anxiety about Ebola is not saying it’s ok to freak out of your brainpan and act like the world is ending. There are, as many people are pointing out, horrendous things that are statistically more likely to happen to us before catching Ebola, and we still power on through life. Is it rational to be debilitatingly afraid of catching Ebola in our country? Nope. But is it kinda rational to be concerned about Ebola and the way it seems be popping up here and there? I think so. 1) Ebola is freakin’ scary. Each time I see a news story and the accompanying image is that shot of a viral strain I flash back to every zombie massacre I’ve seen in the movies. I mean, that image is “T-Cell mutants chewing on my leg” kinda freaky. It’s the same feeling I get in the pit of my stomach when I hear another story about that flesh-eating bacteria that someone occasionally picks up here in America… sometimes, there’s just a lot sarcasm and not much comfort in those statistics, ya know? 2) For us in the States, Ebola is largely an unknown thing and definitely a new thing to worry about. 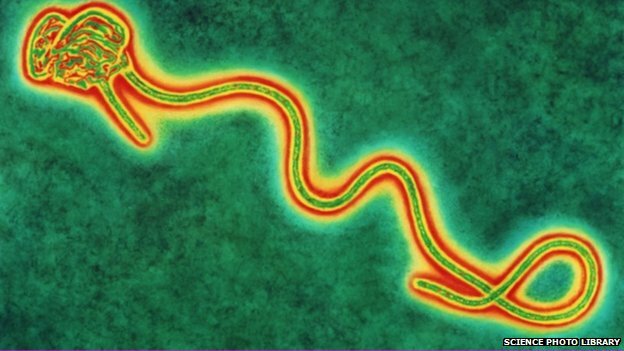 It’s true that we normal folks don’t know a lot about Ebola; it’s not something we’ve thought about and dealt with in our lives. There seem to be worse ways to die, but none of them makes Ebola any more palatable as an potential illness in my life. We’ll have a learning curve as a society as we get more acquainted with Ebola, and we’ll calm down as we’re more knowledgable. Until then, let’s cut each other some slack. 3) When we’re dealing with things like Ebola, screw the point game. I’m not interested in what person “slammed” another or what commentator “schooled” someone on Ebola. Acting like this is a game of one-ups is not responsible or constructive. I’m all for facts, really. But when heath care workers are getting sick, and traveling, and we begin to see the stories unfold, it can be troubling and justifiably worrisome. Should we get hysterical? Of course not. Am I an idiot for having a concern about a seriously bad disease popping up around us? Sorta seems sensible to me. Will we sometimes see the authorities taking some strong steps to stay ahead of this? I hope so. We’d rip them apart if they didn’t and Ebola spread even more. I’m glad we are taking strong steps to contain this and working hard to identify Ebola cases. I’m glad we have an Ebola Czar. 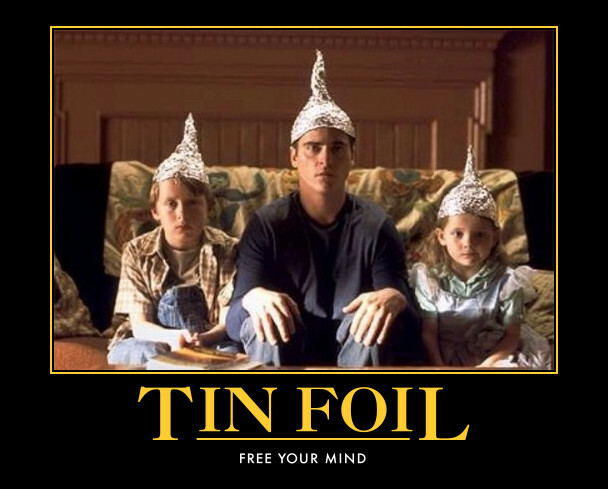 So, am I ready to slip on my tin foil hat and go hide in the closet? Nope. Did I freak out and leave town when they brought an Ebola infected patient to a hospital A MILE from my house yesterday? Nope. (I mean, we already figured out years ago that the zombie-apocalypse would probably start from NIH.) But, am I going to laugh at people’s fears and concerns? Nope to that one, too. Again, no fear should be debilitating and no fear should cause us to lose hope. We should be wise and watchful, prayerful and engaged. The pastor in me wants to remind you that fear is never the best motivation for anything. Even in life’s most difficult times our hope and our joy remain anchored in the love and goodness of God. Yes, life has its anxieties, its moments of terror and exquisite joy, the ups and the downs. Ebola is one of those anxieties, a terror and a down. Let us allow our own anxiety over Ebola to be a poignant reminder to pray for those in communities across West Africa ravaged by the disease. Let’s allow our own awakening to the seriousness of Ebola to be something that moves us to find ways to help and serve those far away neighbors. Let’s allow one another to be concerned and maybe even a bit fearful about something as horrible as Ebola, and use that concern to become better servants to one another and the world. This entry was posted in Bethesda, Just Life and tagged Ebola, Fear, Scary.